The Great Outdoors is calling your name! 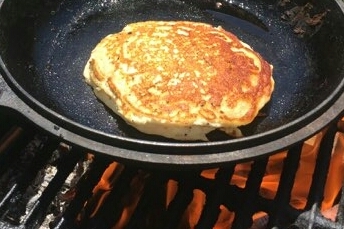 We’ve got 5 helpful camping hacks to help you up your wilderness survival prowess. It’s the little things that will make the difference between a frustrating weekend of discomfort and mishaps or a relaxed return to nature. 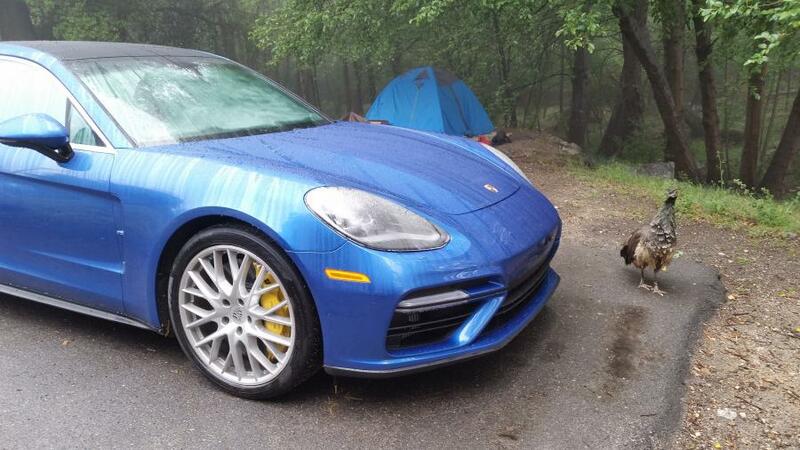 We also included this camping photo of a Porsche and peacock…just because. You’ve probably already heard how to turn a water container into a lantern at night by strapping a headlamp to its side. 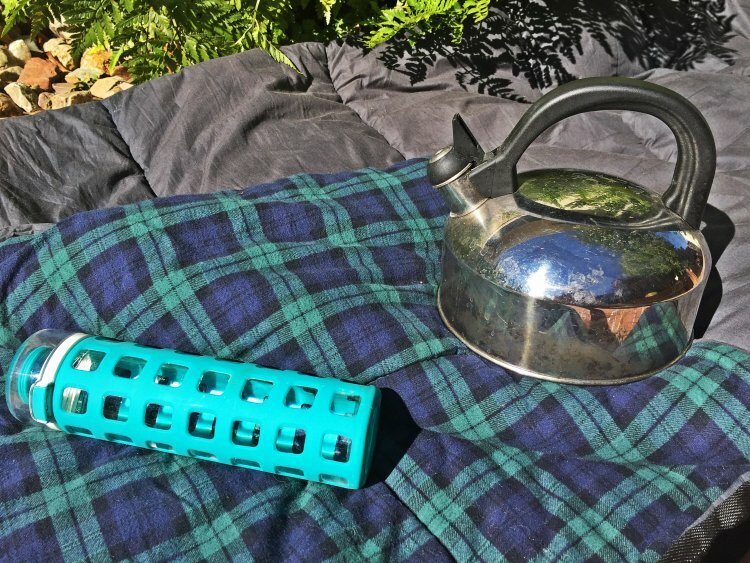 But did you know you can also use your reusable bottle into a foot warmer for chilly nights in the great outdoors? For this easy camping hack, just boil water over your campfire, pour it into a hard plastic reusable bottle suitable for hot beverages, seal the lid tightly (be sure to check for leaks! ), and slip it into the foot of your sleeping bag for a toasty night’s rest. Getting a bonfire going can sometimes prove frustrating. Luckily, there are faster, more reliable ways to start a blaze than dry leaves and twigs. 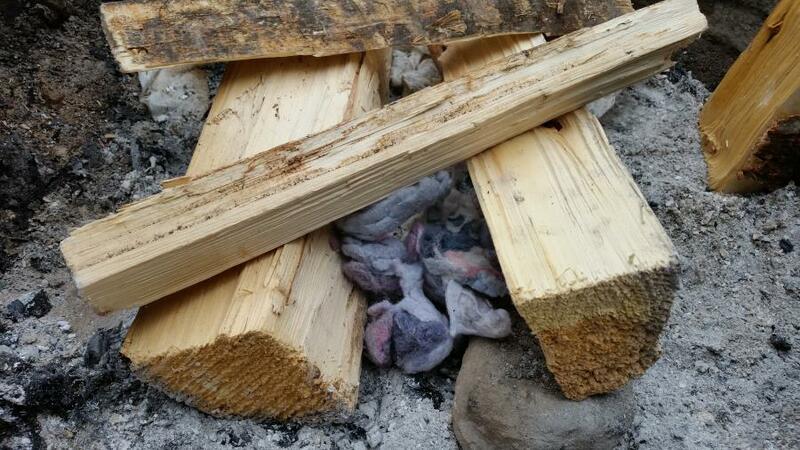 Our first camping hack for kickstarting a bonfire starts at home…with dryer lint. When saved up and packed inside a flammable container, like a toilet paper roll, lint can serve as the perfect tinder. If you’re looking for a more get-it-now solution, grab a bag of corn chips: the oil in the chips makes them ideal kindling. Worried you might have trouble keeping your matches lit? Stock up on those trick birthday candles that drive everyone crazy: once they’re on fire, they won’t fizzle out until the candle’s completely burned. When you’re far from home, packing duct tape for minor emergencies is a must. Duct tape can be used to repair a ripped jacket or tent, cover a blister, or, in a pinch, to create a rope (and much more). But lugging an entire, heavy roll of tape isn’t exactly efficient. The simple camping hack? 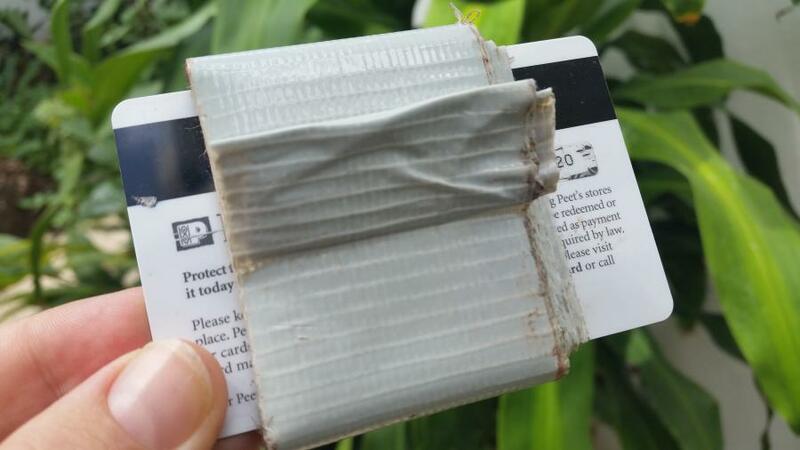 Wrap a long portion of tape around an old credit card (or Peet’s Coffee gift card) or around a water bottle. Voila! Efficient and effective! We saved the best camping hack for last! Because you can’t pack your coffee maker when you’re hitting the trail, “cowboy coffee” (boiling water and throwing in coffee grounds) is a common camping staple. Sure, it gives you that “roughing it” feeling but, who really wants a grin full of coffee grounds? The FLTRgo was designed to hack this problem. 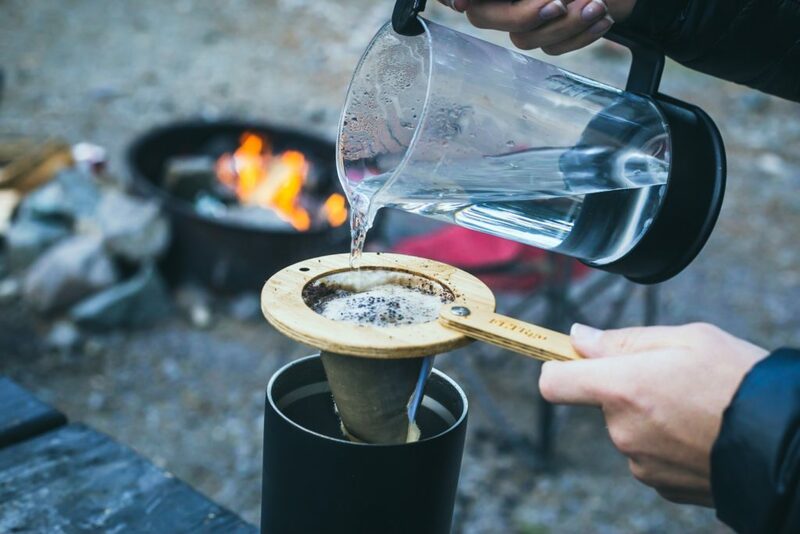 Because the FLTRgo is durable, compact, reusable, and simple to use, it really is the ultimate filtered coffee solution for campers. Learn how to make FLTRgo Clean Cowboy Coffee and get your own FLTRgo Camping Coffee Filter!